Don’t know what to get her for Valentine’s Day? Women love men who have something nice up their sleeves. Instead of showing up with a store bought card in your hand for valentine’s day, try to be a little classy. Pick her up in a rented limousine and make it a night she will never forget. Whether you charter the car for the entire evening for dinner, show, and a romantic drive down lake Shore Drive; or pick her up at work (so she can tell all her co-workers how romantic you are) and drive her home or to a nearby hotel for the penthouse or honeymoon suite, Echo Limousine can fit the bill. We have a wide range of luxury cars that range from 2 passenger luxury sedans to cozy up in, SUVs, stretch limousines, and stretch hummers (with enough room for 10 couples). Book our Valentine’s Charter Special with a 3 hour or more charter in a sedan or SUV and get choice of ½ dozen roses, a single orchid, or a box of chocolates included in your fare. Book any stretch limo in our fleet for 3 hours or more charter and get your choice of ½ dozen roses, a single orchid, or a box of chocolates PLUS a complimentary bottle of champagne. The woman in your life will love the fact that you planned in advance to make Valentine’s a special night. Too often, the ladies complain that their men don’t go out of their way to make special days unique. Don’t let your lady complain this time. With our help, you can pick her up in a luxury limo, take her to the most romantic restaurant, and show her how much you love her. Even if you forget her birthday or anniversary in the future, a quick last minute call to Echo Limousine will save the day. She won’t know you forgot anything and will think you were playing dumb just to heighten the surprise. So, call Echo Limousine for one of our Valentine’s Day Specials and sweep her off her feet with our Five star services. LADIES; if your man is not as romantic as you would want him to be, why not sweep him off his feet with a Valentine’s charter to show him how it’s done. Make it a night he will never forget and he will be compelled to try to top it next time. Good for the entire Valentine’s Day weekend Friday the 13th, Saturday the 14th, and Sunday the 15th. Contact the office for package rates on various vehicles. 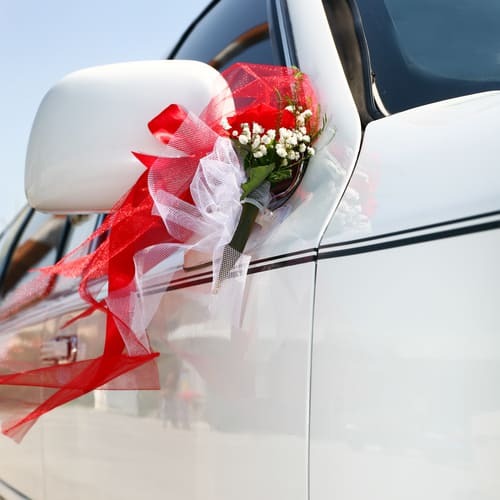 Are you interested in renting a limo for valentines day? We can help. We have a wide range of limos from which to choose from. Whatever your needs are, we at Echo Limousine can help you. Contact us today for more information.